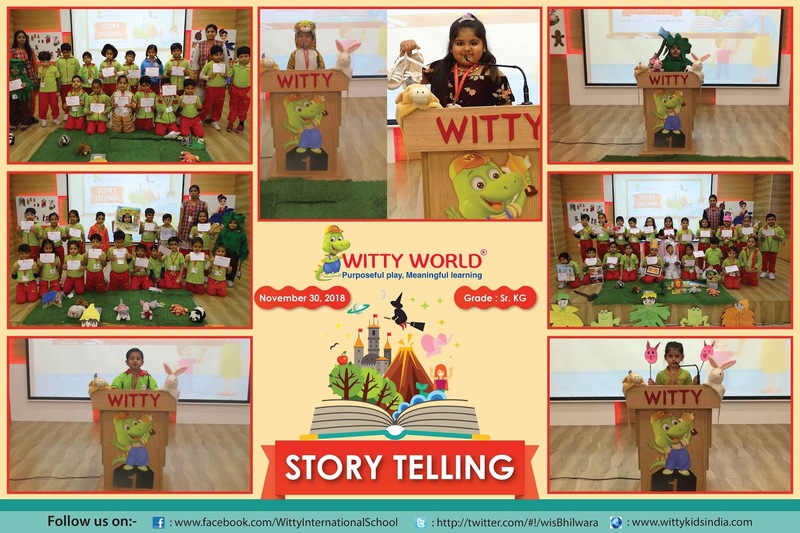 The story is a report of connected events, real or imaginary, presented in a sequence of written or spoken words or moving images. 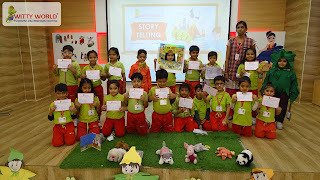 Oral story telling is the earliest method for sharing narratives for guiding children on proper behavior, cultural history and values. 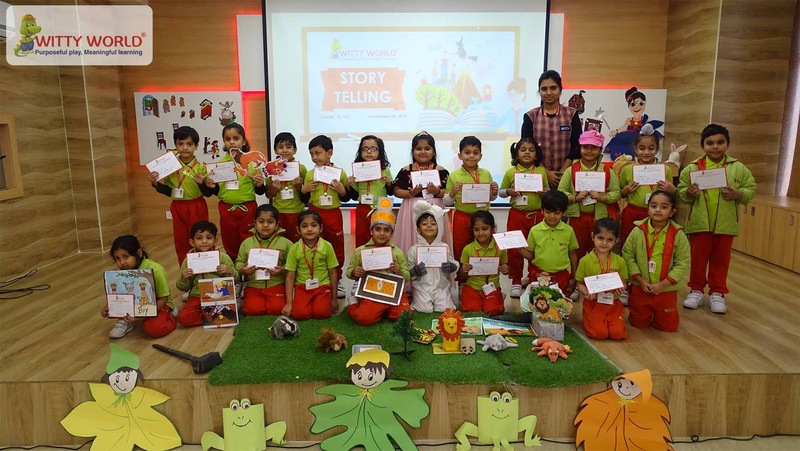 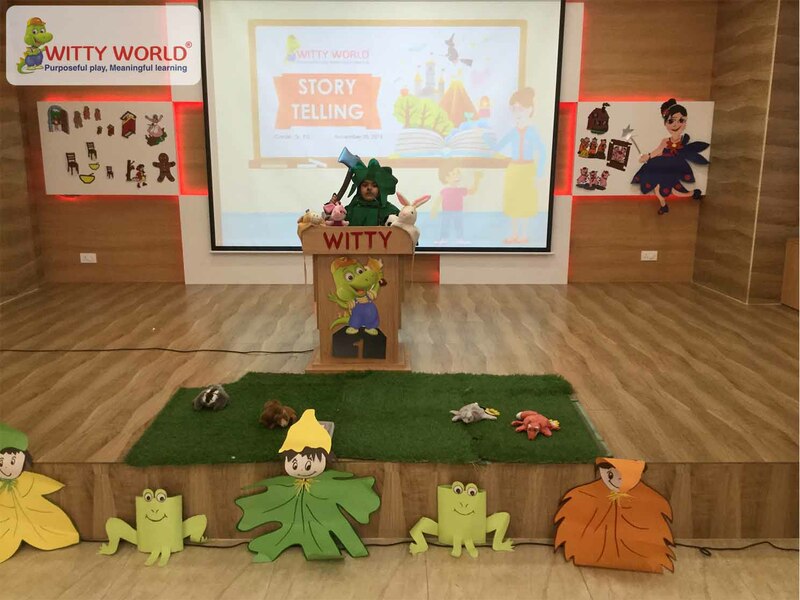 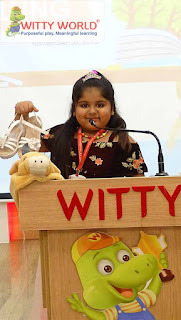 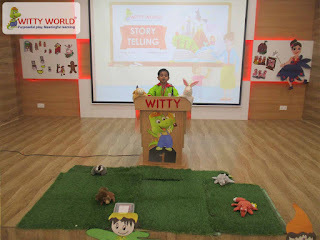 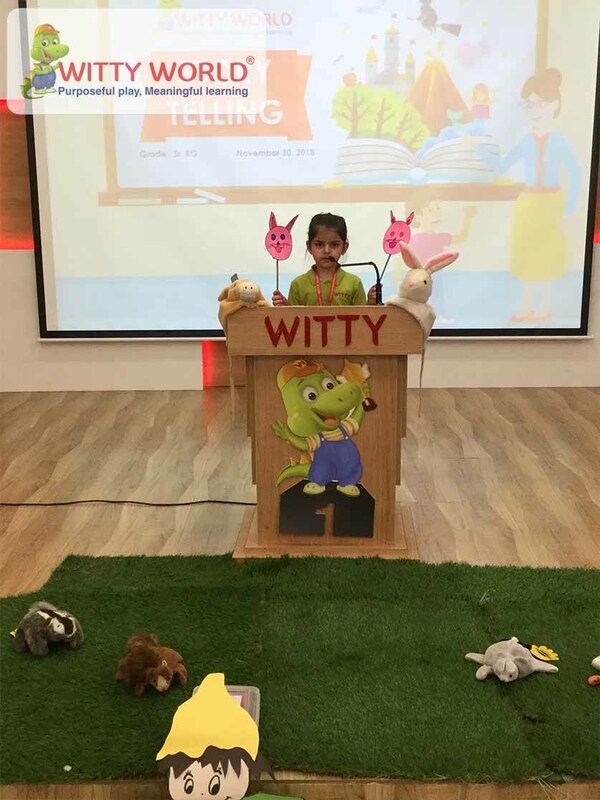 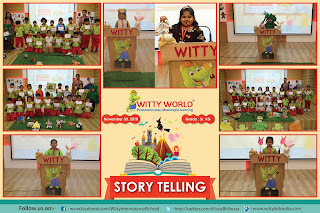 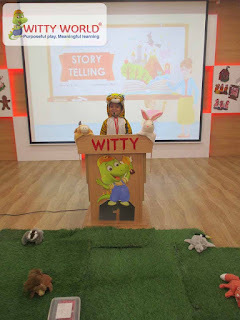 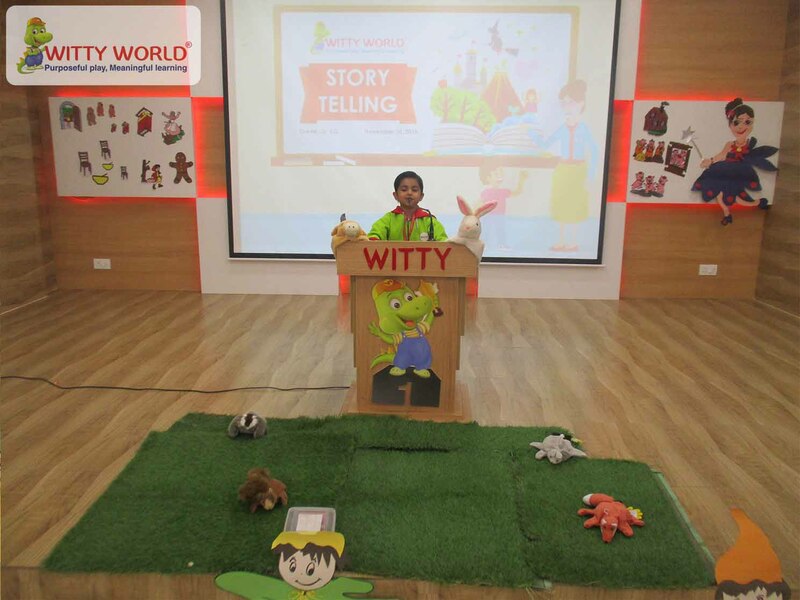 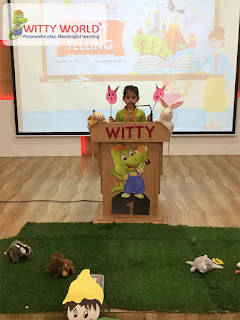 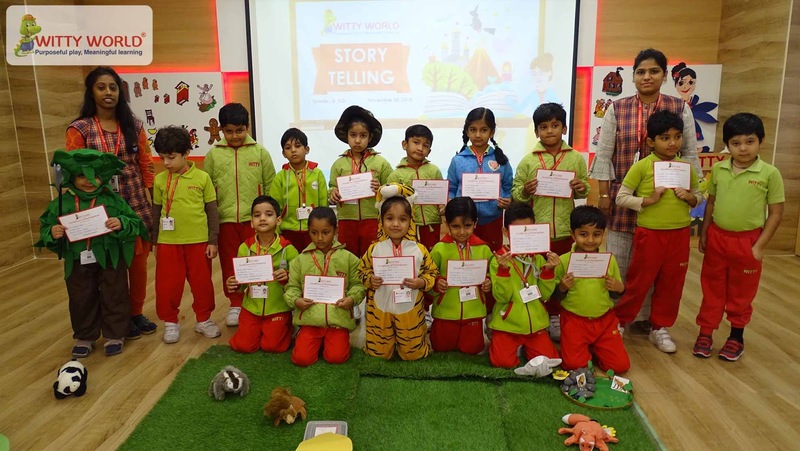 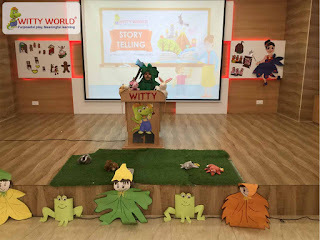 So, to enhance the knowledge of our children of Senior KG, Witty World, Bhilwara organized a “Story Telling” on November 30’ 2018, Friday where children came dressed up according to their stories and presented themselves using various props. 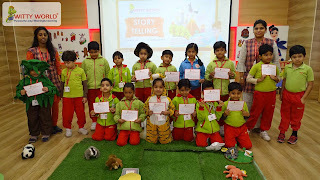 Children enjoyed a lot. 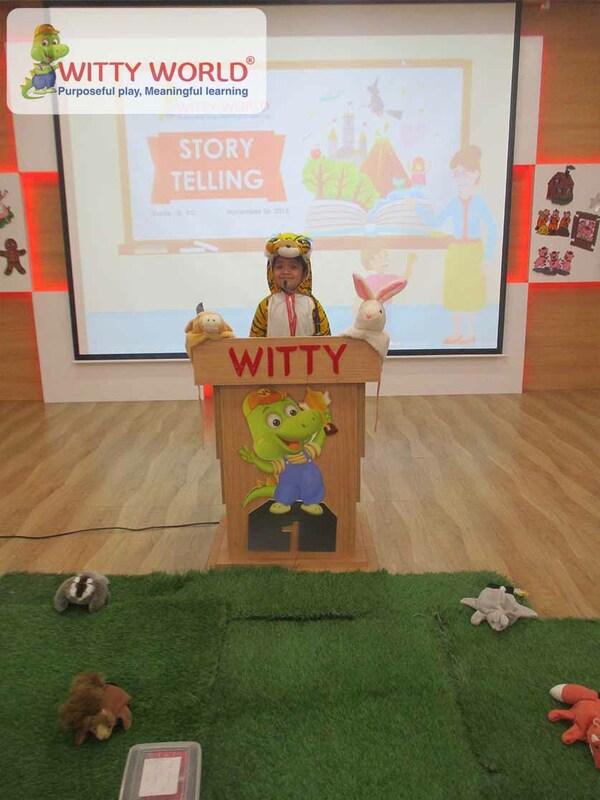 This activity helped our little Wittians to develop their speaking skill vocabulary.